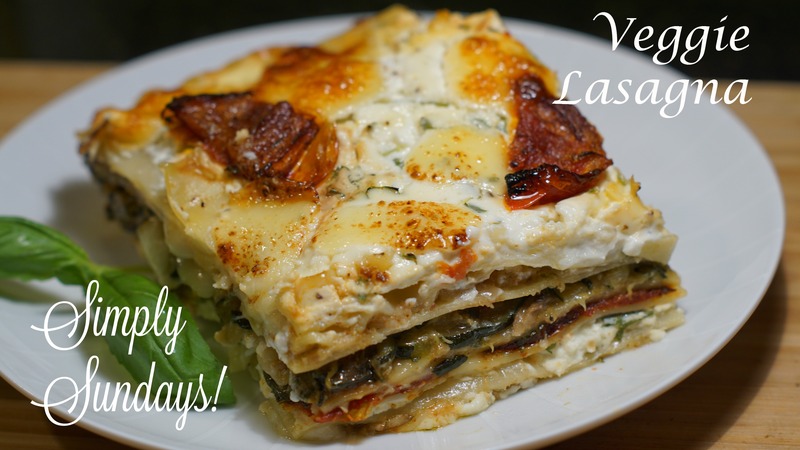 Veggie Lasagna – Simply Sundays! We have some vegetarian friends out there who would appreciate a Veggie Lasagna and some carnivorous friends who may like a break from meat! I like to use the block mozzarella for this rather than the fresh because it’s firmer with less water content No one likes liquidy lasagna! Now we’re ready for some baking!